Responsive website coupled with creative design and enriched content. Unleashing your company’s online potential with a responsive and sensible website design. 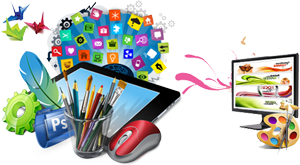 We will build your website form a search engine prespective which will be a good return on investment. Attractive Design is not all. Website should be an combination of creative design, Sensible functionality and usability to create outstanding user experience. All this and more packed into each of our website designs to ensure customers return to your website time and again. Experience of over 17 years has taught us to delve into the raw content furnished by customers ; understand the purpose of the website and ensure that the website caters to their exact requirements. A truly responsive websites is the order of the day. Responsive websites behave optionally across all devices such as PC’s, Laptops, iphones, Androids, etc.Many a customised websites have been deployed to suit every industry, whether in engineering or retail and aviation. Or a start-up as is so often the case.